Talking about the initiative, Mr. Amol Monga, Director, Brands Impact, said, “The International Quality Awards is an ode to the efforts of various organizations & professionals who have redefined the benchmarks in their respective fields through their quality products and services. 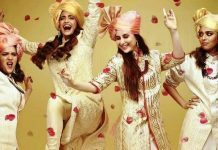 The ceremony was graced by the presence of the beautiful Mrs. Kareena Kapoor Khan as the chief guest. She looked stunning as ever and didn’t fail to make heads turn. Dr. Sohini Sastri, an internationally acclaimed astrologer, awarded by Hon’ble Vice-President of India, Shri M. Venkaiah Naidu, was also present at the event. She is one of the most trusted astrologers in India who’s is known for her accurate predictions. 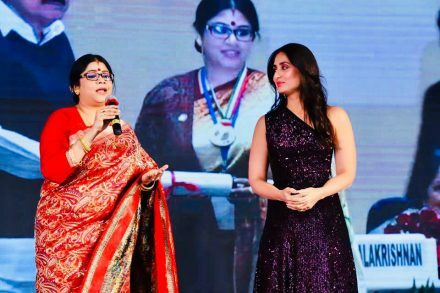 Dr. Sastri spoke astrologically about Kareena’s past and future and made some very interesting comments. The ceremony was hosted by the talented and versatile Ritvik Dhanjani.The event was concluded with a stylish Page 3 Party at Club Enigma with socialites from the world of Fashion & Bollywood and sizzling live performances by DJ Tan, DJ Maria and Tabish Pasha. 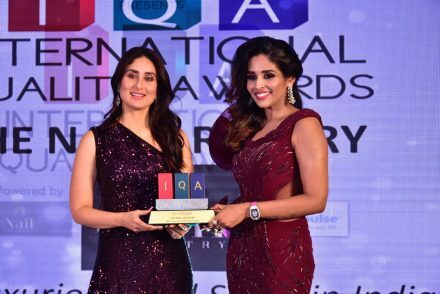 Among the winners of the second edition International Quality Awards were Dr. Mrs Leena S – Founder of the nail salon – The Nail Artistry which was awarded For Most Luxurious Nail Salon in India, Sculpt by Geetaa Paul , was recognised for Most Trusted Slimming, Beauty & Aesthetic Clinic in India. Singer Ankit Batra won the award for Most Distinguished Singer of Indian Music Industry and Madhulika Mehta won the title Luxury Fashion Designer Supplying High-End Garments Globally. Previous articlePritam on Ghar Mere Pardesia, the kalank song thats launched today .